Having the best shoes for walking on concrete is essential if you spend your days either standing walking or running on hard surfaces. Standing or walking for long periods of time can be tough on your feet, and when you are doing it on hard surfaces you are going to need shoes that will provide the support, comfort, and style to prevent foot, back and hip pains. For foot pain such as neuropathy click here for footwear options. If you have Bunions, you may want to look at our review on the top shoes for dealing with bunions. 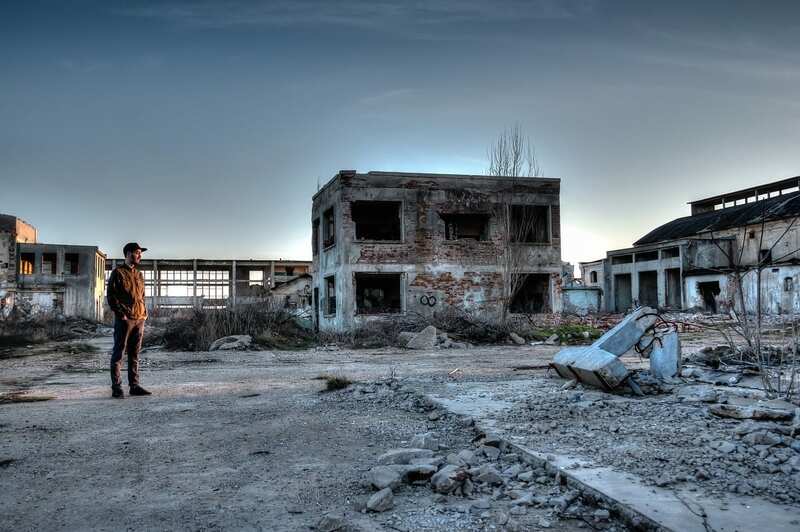 Selecting the right footwear means you need to look at the qualities of the shoes that are best for walking or standing on hard floors should possess. Aspects such as the best cushioning, great support both for feet and ankles. View the Best Shoes for Walking on Concrete all day, Below. What is a Good Shoe for Walking on Concrete? What are the Best Support Shoes for Walking on Concrete? What Shoes are good for Walking on Concrete all Day? What is Better for Walking on Concrete Floors – Boots or Shoes? Support and stability is vital for shoes that you are going to be standing or walking in for long hours. You will also need to have a shoe that is made from breathable material and is lightweight. These are just some of the aspects that great shoes for standing or walking on hard surfaces should possess. We have a look at some of the best on the market for 2019. These are fantastic shoes that offers you all the features you are looking for in shoes that you are going to be standing or walking in for hours on a concrete floor. The Biomorphic Fit Upper made from breathable mesh with a synthetic overlay make sure that not only are your feet comfortable all day long, but get the air they need to keep them fresh and feeling great. The stretch material does not buckle and will not cause any irritation. These are lace-up shoes with a Duo Max support system. The heel fit memory foam will conform to your feet and offers the best heel support so that your feet remain secure and supported throughout the long day. The insole of the shoes are removable, which is a fantastic feature if you have specific foot issues where you need to be able to insert a custom orthopedic insole. Other great features of these shoes include a rubber inner material, and an ortholite sockliner to ensure that your feet are as comfortable as can be. The gel cushioning is found both at the balls of the feet to add to your comfort levels. The perfect shoes for those of you who work in an environment where you are standing or walking on concrete all day long. Biomorphic Fit Upper, Duo Max support system, removable insole, ortholite sockliner and gel cushioning are some of the features which will ensure that your feet remain supported and comfortable all day long. It has been said that a clog are perfect for when you are looking for the best comfort you can get in shoes for those standing or walking for most of their busy days. The Alegria Women’s Emma is one of those shoes that prove this is true. Not only are these very stylish shoes that adds a touch of elegance with a variety of colors and leather uppers. A 1.75" heel which is stain resistant and a non-slip outsole for when you are faced with water or some other liquid on the floors you walk on. These clog style shoes are easy to put on and take off with a dual goring which will help keep the shoes on your foot as you walk. The leather lining of the shoes are breathable. The polyurethane sole is designed to help reduce the pressure you will experience when walking on concrete floors. It is shock absorbing and protects the toes and heels of your feet. The collar is padded for extra comfort. Comfort, style, and support all come together in these great clog style work shoes that is designed for people who spend most of their busy day on their feet. These are clog style shoes for the comfort and support you need to get through the day. Removable insole and padded collar ensure your comfort, the dual goring on the shoe keeps it securely on your foot and the non-slip outsole keeps you stable on your feet no matter even when walking on hazardous surfaces. Skechers has long been known as the manufacturers of some of the best work, walking or casual shoes and these are no exception to the rule. The slip-on style loafers offer comfort, support and a touch of style. A gel-infused memory foam insole offers you cushioning where you need it especially for when you are standing or walking on hard concrete floors all day long. Being slip-on style shoes it is easy to remove or put on and the shoes they also offer a pull-on tab at the tongue to enable simplify this exercise. The elastic goring keeps the shoes firmly on your feet and also allows for you to walk comfortably as it is flexible. The roomy fit is perfect for those with wider feet and adds to the comfort level of the shoes. 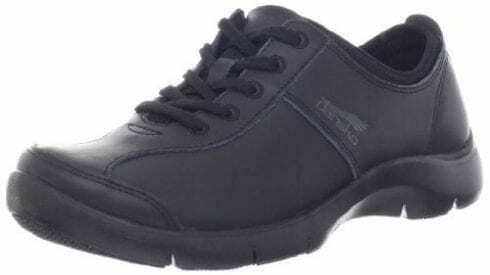 One of the best, these shoes are lightweight, durable and it offers breathability which ensures that your feet are kept cool and dry throughout the day, it offers the comfort and style that you are looking for in work shoes at a very reasonable price. A great pair of working shoes for people who spend a lot of time walking or standing or walking on concrete floors during their days. It is not only lightweight and durable, but is ultra-comfortable with gel infused memory foam insole, roomy fit and elastic goring make this one of the most comfortable shoes for walking on concrete. A very stylish men's work shoes for the man who spends a large part of their day standing or walking on hard concrete floors. The classic lace-up style with full-grain leather uppers adds to the look of these shoes. The design of the Dunham is centered on comfort, it offers an Ortholite foam footbed is breathable and reduces odor and enhances the comfort. The footbed is removable should you need to insert your own custom orthopedic insole. The EVA foam heel cap offers you that little bit of extra padding on the heel where you need it for shock absorbing qualities, and the textile lining ensures your feet stay dry in the shoes. The nylon stability shank supports the arch of your foot and keeps it stable and comfortable all day long. Whether you wear the Dunham in a casual setting, or as formal work shoes, it offers you all the qualities that you need to keep your feet cool, dry and comfortable when standing or walking on hard concrete. No matter on what occasion you choose to wear the Dunham, they offer the style, comfort, and support you need for when you are standing or walking on hard concrete surfaces. Ortholite Foam footbed that is removable, EVA foam heel cap and a classic lace-up style that never goes out of fashion. One of the best offering full grain leather uppers which are both stylish and durable and a breathable mesh lining to keep your feet both dry and comfortable. The mesh lining is treated with M Select Fresh, which is designed to reduce odors. The EVA footbed is removable so you can replace it with an orthopedic one that can help you with your specific foot issues. These are very comfortable shoes with padding and air cushioning in all the right places to allow you to walk or stand on a hard concrete floor all day and not experience the sore feet that are associated with that. The M Select grip on the outsole of these shoes are also ultra-durable as well as offering superb traction on any kind of surface and is slip-resistant to keep you stable on your feet at all times. The flexible construction of the shoes allow them to absorb the shock of impact, this is one of the most comfortable shoes to wear when walking or for standing on concrete on a daily basis. These clog styled shoes are a perfect for the man who has to stand or will be walking on concrete on a daily basis. Comfortable with a removable EVA footbed and air cushioning as well as M Select Fresh which will offer odor control. The full-grain leather uppers are durable, breathable and lightweight. These are great looking, versatile, durable and comfortable shoes the Dansko is a lace-up style sneaker that is guaranteed to keep your feet cool, dry and comfortable throughout your long day on the factory floor, or in any environment where standing and walking on concrete is required. The shoes are designed to secure your foot snugly, without limiting your range of movement, the neoprene collar is both flexible and supportive. The lightweight shoes have a sock-like feeling that the elastic sockliner at the point of entry makes putting on and taking off of the shoes is a breeze. The leather uppers with reinforced overlays add to the overall look of the shoes as well as their durability. The slip-resistant outsole will ensure that you are stable on your feet no matter the hazards you may encounter such as water or other liquids. Comfortable, durable, flexible and offering both breathability and stability, these is the perfect work shoes to support people who find themselves walking or standing on hard concrete all day long. A great looking alternative to a standard sneaker, this lace-up athletic styled shoes offer you neoprene collar which allows for a great range of movement and comfort, leather uppers with reinforced overlays for superb durability and a slip-resistant outsole that offers excellent stability. Lightweight with an elastic sockliner at the entry that offers easy on and off. Skechers does it again with these women's work shoes that offer the comfort, support, and durability needed when you spend most of your day walking or standing on a hard concrete floor. These slip-on styled shoes are designed for comfort with insoles that are made from memory foam and superb cushioning. If however, you need to replace the insoles due to wear or you prefer to use your own orthopedic insole, they are removable and replaceable. The shock absorbing FlexSole midsoles of the shoes offer superb durability as well as excellent comfort. These rugged shoes are perfect in a work environment where the leather toe and heel overlays will protect your feet against any falling hazards. The non-slip outsole offers great traction and will ensure that you remain sure-footed no matter if you encounter spillages on the surfaces you find yourself walking on. Comfort, style, and flexibility these great slip-on styled shoes offer you everything you need to keep your feet protected and comfortable at all times. Flexible, solidly constructed and superbly comfortable with removable and replaceable memory foam insoles, leather toe and heel overlays of the shoes and non-slip outsoles these lightweight, stylish and durable shoes, are perfect for the working women who find themselves having to stand or walk on concrete as a matter of course during long periods during their day. Funky, trendy and very cute these flats are designed to support the women who want the flair of fashion shoes with the comfort and stability of a top class pair of work shoes. The Clarks are designed with the fashionable working women who spend long hours standing or for walking on hard floors. They have an ortholite footbed that not only keeps your feet cool and dry but also ultra-comfortable. With cushioning at just the right places and a skid-resistant durable outsole, it offers you the protection and stability you need in a great pair of work shoes. The leather finishing with a ruching, stretch gore and hook-and-loop strap allows for the shoe to fit perfectly and the fabric lining is cushion-soft to provides the best comfort. Whether you are looking for a great work shoes that will prevent sore and tired feet after a long day on a concrete floor, or a classic comfortable slip-on style casual shoes, the Clarks has what you need. A great cute and funky pair of shoes for the working women. Ruching, stretch gore with hook-and-loop strap keep the slip-on styled shoes firmly attached to your feet. The fabric lining keeps your feet cool and dry with the ortholite footbed offering superb comfort. The skid-resistant outsoles keep you stable on your feet at all time. These are lace-up styled women’s work shoes that will add a touch of style to your work outfit, or wear them as casual shoes for any occasion where you will be walking a lot on concrete surfaces. The low wedge makes these very comfortable shoes that you can wear when standing or walking all day long on hard concrete floors. It features a fabric lining which is soft and combined with the ortholite footbed it is both soft and comfortable. The leather uppers of this lace-up style oxford athletic styled shoes give them a sleek and trendy style as well as great durability that is perfect for work wear. The outsole is rubber and offers great traction and a shock absorbing cushioning for those long days spent on your feet. The heel height of the wedge is 1.5 inches and the heel measures approximately 1.25 inches. This slight heel helps to keep your feet comfortable and avoid back and leg problems often associated with flat shoes. 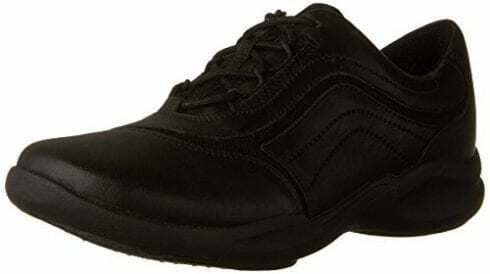 These lace-up athletic styled work shoes will ensure that your foot stays snug and comfortable throughout your long day walking or standing on hard concrete floors. The fabric inner lining and ortholite footbed, along with the wedge heel help to ensure that you do not end up with sore tired feet. Designed for the women who spend the majority of their day on their feet walking or standing on hard surfaces, these lace-up athletic styled shoes will keep your feet cool, dry and comfortable all through the day. The Wavewalk technology offers an innovative curved rocker sole which not only keeps your feet comfortable but will also help to conserve your energy. The shock absorbing insole will cushion your feet and other joints against the impact of walking on hard concrete floors. The leather uppers and linings are durable and supportive and the ortholite molded footbed is replaceable with your own preferred orthopedic insert. The rubber outsoles not only add to your comfort but also provide the traction you need when you are walking or standing all day long. These are the work shoes that every woman who spends their days on their feet need to ensure comfort, support, and stability. Durable, lightweight and ultra-comfortable the Wave Skip Oxford by Clarks is one of the best on the market for 2019. When you are standing or walking on hard floors all day long you need shoes that are going to not only offer you the comfort you require but also durability and stability. 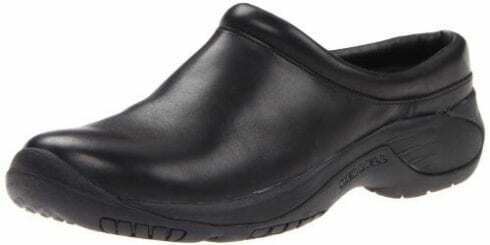 For nurses on their feet all day, see our review of the best shoes for nurses. Teachers also spend a lot of time on their feet, see the greatest shoes for teachers here. You need a shoe that is made from a material that is breathable, that is lightweight as well as supportive such as leather. The insole should be supportive and offer to cushion for those long days on your feet, the best types are the removable insoles that can be replaced with orthopedic options if needed. Style in footwear for standing or walking on hard surfaces are varied, the lace-up shoe offers you a firm fit that keeps your feet secure even under the most hazardous conditions. Clogs and slip-on also keep your feet snugly secured to your shoe, but with the added benefit of being able to remove them easily. A boot, on the other hand, will not only protect your feet but also your ankles a lot better than a shoe would. It would depend on what type of work you are doing when you spend your day walking on hard surfaces as to which style of shoe it would be best for you to select. Whichever you choose, ensure that you get the comfort, support, stability, breathability, and durability you need when standing or walking on hard floors for long periods of time. When you are required to stand or walk on hard surfaces all day you require a shoe that can help your feet cope with this type of situation, if you do not choose the right shoe for the job you might find yourself dealing with sore, tired and perhaps even acquire some severe foot issues. 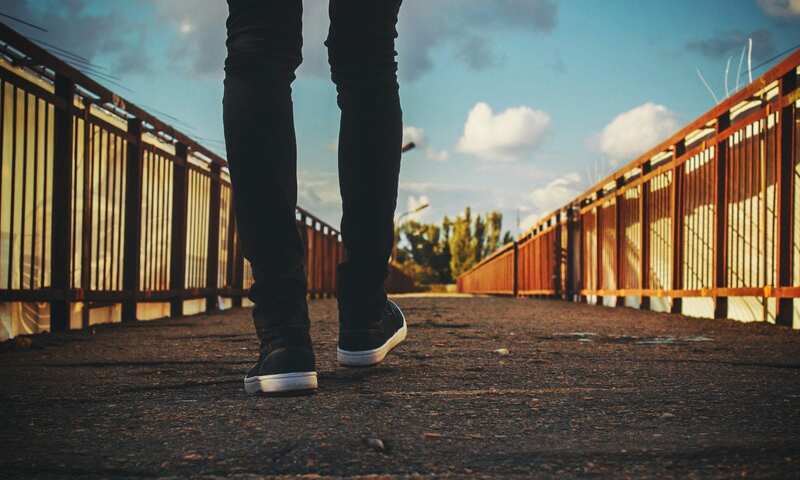 A good shoe for walking on hard surfaces will be one that offers you the features you need to be able to spend the day walking on this hard type of surface and we have a look at some of the most important aspects below. Of course, this is one of the most important aspects of any shoe you are going to wear when walking or standing on hard floors all day. A good supportive and cushioned inner sole, preferably one that can be removed and replaced when it is worn out, or when you need to use a specifically designed orthopedic insert to deal with any foot issues you might have. The uppers should be breathable, this will enable your foot to get the airflow it needs in order to stay cool and dry at all time. The Outsole should be shock absorbing and there should be padding on the midsole as well as protection and padding on the toe and heels of the shoe. The shoe should support your foot and ankle when walking. The uppers of the shoe should add to this supportive cushioning that the shoe must have. The footwear must keep you stable on your feet at all times when walking. This type of surface can become very slippery if you find yourself having to brave any kind of liquid spill on the floor. Non-slip or slip-resistant shoes are a must for those working in environments that have hard floors and are prone to spillages of any kind. The style of shoe you choose can also make a difference. Boots offer the best support and stability but they are often very hot to wear and your feet could tire after a while when wearing boots on this kind of hard surface. Clogs and slip-on are very practical and easy to wear and they are both designed with comfort in mind. Both, when they are designed as work footwear will usually have non-slip outsoles and a clog is one of the most comfortable shoes to wear when you spend the majority of your day on your feet. Lace-up athletic styled shoes will also offer the kind of support, traction, and durability you need when looking at the best shoe for the job. 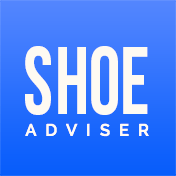 The best supportive shoes are those that offer you not only the best comfort in the form of cushioned insoles and well-constructed uppers that support not only your feet but your ankles, they will also offer you outsoles that are shock absorbing, soft and flexible so not to limit your foots range of movement. Your feet are what keeps your body stable, they have a large number of bones and can handle a lot of pressure and abuse. However, if you are going to be walking on hard floors all day long, you need to help your feet cope with the pressures to avoid you developing foot issues or experiencing sore and tired feet every time you come home from work. You need to select a shoe that not only provides you with support for your feet and ankles but also the best levels of comfort. 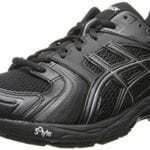 Shoes that offer shock absorbing qualities for those hard impacts when walking on hard surfaces, along with stability and comfort are what you are looking for in the best rated shoes for strolling on hard floors all day long. Having a shoe that provides you with an insole that is not only cushioning but that can also be removed and replaced with your own orthopedic insoles is one of the best options, especially if you are somebody that suffers from foot issues. 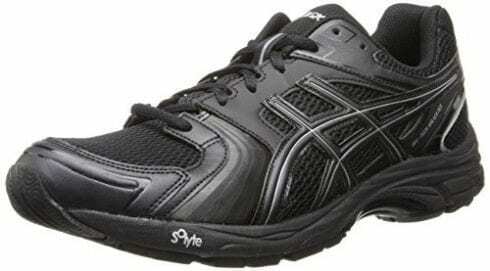 When you are walking on hard floors all day you will also need a shoe that is very durable and has a durable outsole. Concrete is a very hard surface and the sole of your shoe will tend to wear a lot faster than if you walk on grass or carpeted surfaces. So if you do not want to replace your shoe frequently then a durable, rubber outsole is preferable. When you are walking on hard floors, you require a lot of support for your foot. Both boots and shoes that are designed for spending long hours on your feet will be one of the best options as shoes for standing and strolling on hard floors. Both have their pros and cons when it comes to the features they offer. Boots offer support not only for your feet but also for your ankles. They can, however, be a lot warmer than say an athletic shoe with a mesh upper that is breathable. Boots offer great protection for your foot and ankles as well as part of your leg, shoes do not offer this kind of protection, however, just like boots the best ones do offer protection from falling object in the toe areas. Shoe allows for a better range of motion in your feet, they are a lot more flexible than boots are. Both offer great traction and non-slip qualities and both can offer soft comfortable outsoles to cushion your feet properly when walking on hard floors. The style you choose, whether it be a boot or a shoe, must have the qualities you require when spending the majority of your day standing on hard floors, that is support, stability, breathability, and comfort. When you spend the majority of your day standing on hard floors your shoes become very important. You need something that is comfortable, supportive, and durable and offers stability to you. A shoe with a cushioned insole, breathable uppers and rubber soles that are soft and sock absorbing are what you are looking for. Asics walking shoe for Men – the GEL-Tech Walker Neo 4 is our top choice of footwear on the market for 2019 to walk or stand on hard floors for long periods of time. The shoe has all the features you need to ensure your comfort, stability, and protection during the day. The biomorphic fit upper that is breathable and supportive with a mesh body and synthetic overlay. The stretch material used will not buckle and will also not cause any kind of irritation no matter how hot and stuffy the day gets. The Duo Max support system of the shoe along with the heel fit memory foam that conforms to your feet. The insole of this great shoe is removable, therefore if you have specific foot issues you can get an orthopedic insert to ensure your foot get the support it needs. The lace-up style of the shoe keeps your feet secure within the shoe at all times and the rubber inner material, ortholite sockliner and gel cushioning at the ball of your foot is sure to keep your feet comfortable, secure, supported and stable through a long day at work. The best shoe for standing (click for study) and walking all day long on hard floors the Alegria female walking shoe Emma is our premium choice for 2019. This clog styled shoe offers you all the features to keep your feet stable, supported and comfortable throughout your long day. It is stylish and comes in a variety of colors with a 1.75-inch heel that is stain resistant and slip-resistant, keeping you stable on your feet no matter if you encounter hazards such as liquid spills on the surfaces you walk on. The leather lining of the shoe is breathable and the dual goring keeps your shoe securely on your foot. The polyurethane sole is shock absorbing and the toes and heels of your feet are also protected when strolling. The collar is padded adding that extra comfort you need. Comfort and style as well as some of the best support and stability, that is what you need in a shoe when you spend your days on your feet on hard floors and that is what you get with this great shoe. Skechers the brand to trust when it comes to great work shoes has done it again with the Skechers USA Men’s Slip-On Loafer. Lightweight, elegant and durable these slip-on styled shoes are very well priced as well making them our great value choice for 2019. Offering a gel infused memory foam insole and cushioning where you need it most when spending your days on hard floors. They are easy to put on and remove and have an added pull-on tab at the tongue to simplify this exercise. The elastic goring will keep your foot securely in the slip-on shoe and the roomy fit makes it incredibly comfortable, even for people with slightly wider feet. The lightweight and breathable material is used in the shoe construction to ensure your feet stay cool and dry throughout the day and the price makes this the best rated shoe for those walking on hard floors throughout their long day at work – click here to find out how standing at work can be healthy. We hope you enjoyed our article on "The 10 Best Shoes for Walking on Concrete", if so, please share and rate it.